Most of the air-dielectric capacitors are of the variable type. It consists of two sets of plates. One set of plate comprises the positive plate of the capacitor and the other set comprises the negative plate. 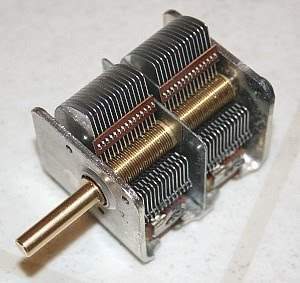 One set is mounted on a rotating shaft. It rotates the entire set to make it mesh with the plates of the other set. 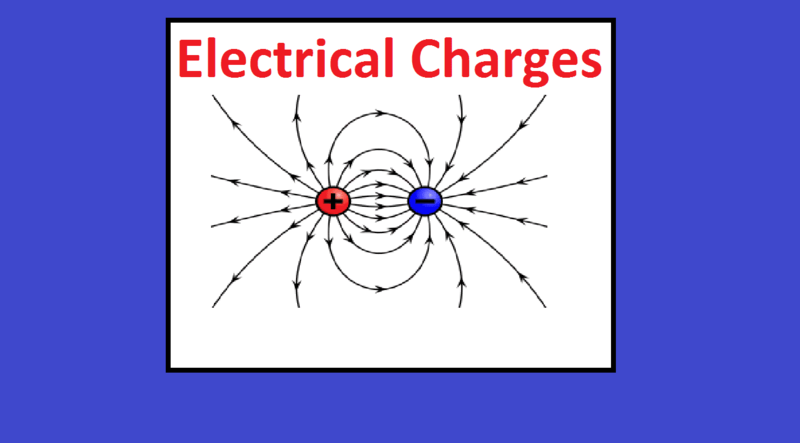 When the plates are fully which meshed, the capacitance is maximum and when the plates are completely unmeshed the capacitance is zero. These capacitors are available in the order of 100PF. Paper, film and oil filled capacitors have essentially the same design. 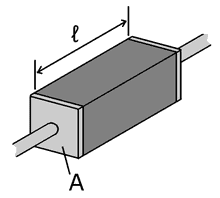 The dielectric is paper in paper capacitor. It consists of two metal foils separated by a sheet of paper dielectric. The paper and foils are then rolled into a cylinder and dipped in plastic or wax. 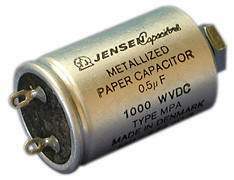 Paper Capacitors are used for coupling, buffer, bypass, and filtering. These capacitors can be used up to audio frequencies. In power applications, these are used for power factor correction and start of the motor. These capacitors are supplying reactive current to the power circuit. These are constructed by assembling an alternate layer of mica and metal foil. In these capacitors also one set of electrically common foils serves as one plate and the other set serves as the second plate. Terminals are attached to each set of foils and the entire structure is encapsulated in a plastic case. Typical capacitor range varies from supply 1pF to 0.1uF. Mica Capacitors are used in high-frequency filtering. It consists of a ceramic dielectric with thin metal film as electrode which is bonded to the ceramic. They may be constructed in the form of a single digit, or tubular. The discs of the ceramic material are coated with metallic silver. Now the ceramic disc acts as the dielectric and the silver coating acts as a plate. The ceramic capacitors are available with capacitance values from 1pF to 1uF. 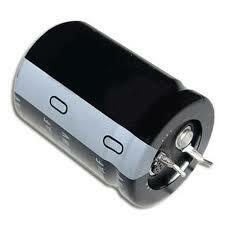 Uses: Ceramic capacitors are used for bypass, coupling and bias applications. 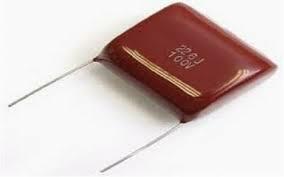 The dielectric in this type of capacitors is a layer of tantalum or aluminum oxide which produces a large capacitance. 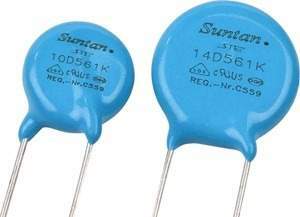 These capacitors explode if the rated working voltage is exceeded or polarity is reversed. Applications include ripple filters and tuning circuits. Example: High Voltage filtering capacitor.